Dr. Michael C. Klein, formerly PI on a 4 year CIHR funded multidisciplinary study of attitudes and beliefs of all maternity care providers: obstetricians, family physicians, midwives, maternity care nurses, doulas and the women they serve—across urban and rural Canada. He was also PI of a Vancouver Foundation and Michael Smith Foundation funded study of the role of maternity care in community sustainability in rural BC. This is a collaborative research program with Northern Health and the SFU Centre for Sustainable Community Development. We developed a decision-making model to help health authorities make difficult decisions in the face of low volume maternity care. Dr. Klein is best known for his landmark RCT of episiotomy that demonstrated that routine episiotomy caused the very problems it was supposed to prevent. This work is credited with leading to a dramatic drop in episiotomy and a parallel drop in severe rectal trauma across Canada and beyond. 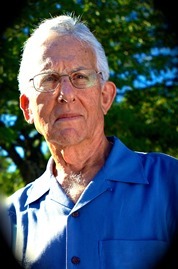 He has researched low volume issues in family practice maternity care, sustainability of family practice maternity care and the role of attitudes and beliefs in medical decision-making.Semi retired, he continues to teach midwives, both clinical and research skills and mentors family practice physicians for their research projects. Refusing to serve as an officer in the US Army Medical Corps during the Viet Nam War, he fled to Canada in 1967 with his wife Bonnie. He became a family practitioner, pediatrician, advocate, professor, and researcher at McGill and the University of British Columbia. Michael Klein has played a vital role in placing maternity care at the heart of family medicine. Motivated by concerns over the harmful effects of certain then widespread medical interventions, he pushed for the adoption of family-friendly birth practices, the re-introduction of midwifery, the promotion of doulas in birth and the elimination of routine intrusive interventions such as episiotomy. An influential mentor to many, his approaches are now widely adopted in maternity care. He is the author of "Dissident Doctor: catching babies and challenging the medical status quo" published by Douglas & McIntyre.